Our second photo file over the winter break is from Kathmandu, Nepal. 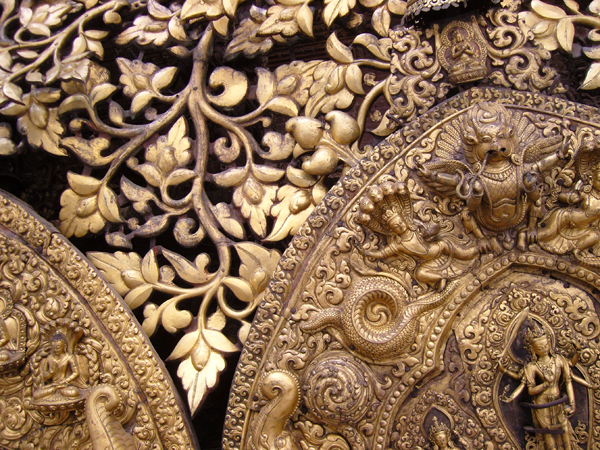 Many of Kathmandu's temples are an intriguing mix of Hindu and Buddhist traditions, and provide rich inspiration for pattern, texture and form. One of Baltic's three capital cities, Tallinn offers the cultural adventurer medieval architecture and a rich tradition of arts and crafts, while being unusually modern, as the birthplace of Skype. WGSN-homebuildlife presents the photo highlights from our recent trip, curated for an interiors viewpoint. Running until 14 January at Antonia Jannone Gallery in Milan, the exhibition Tavolini by Michele De Lucchi presents 19 small tables and new sculptures. 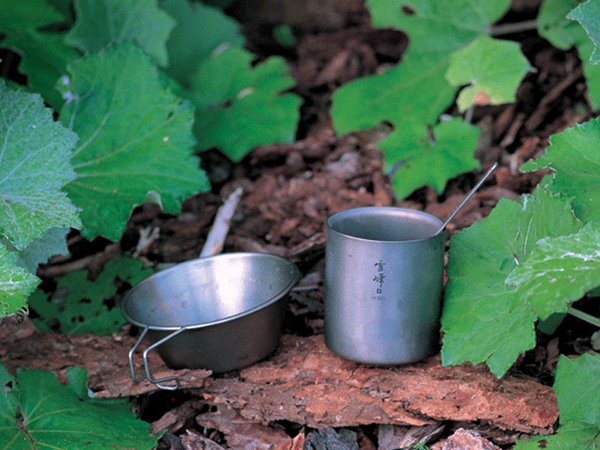 In Italian, Tavolini literally means small tables. 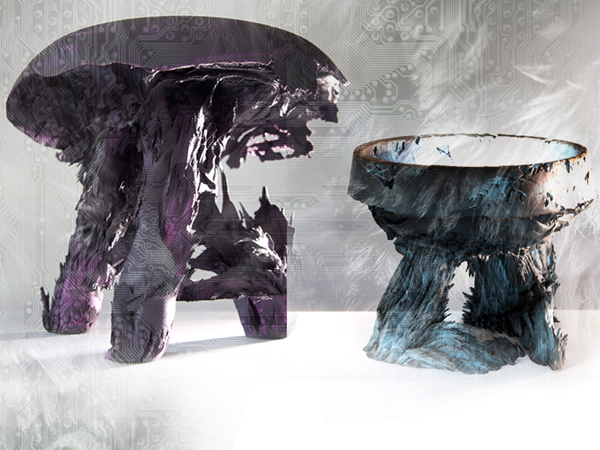 They represent a very special world for the designer, who explains: “I suppose they are distinguished from normal tables because they are smaller. However, no one has ever explained, nor theorised, what smaller means – how much smaller, how much narrower, thinner, lower and so on”. Merry Christmas to all our readers! To celebrate the festive season, here are some of the best Christmas cards we have received from designers, retailers and manufacturers this month. WGSN-homebuildlife will continue to post throughout the winter break, sharing visual inspiration from around the world, and will return in full force in 2012 to keep bringing you the best in design and interiors. 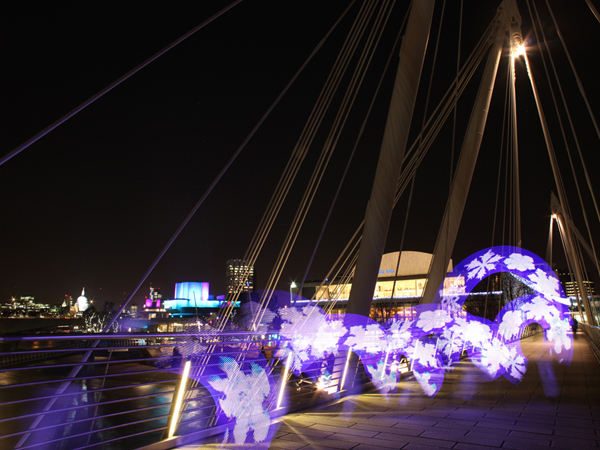 WGSN's A/W 13/14 macro trends and colour direction are now live! Our macro trends outline the need-to-know cultural and design forces shaping your thinking, planning and design in autumn/winter 2013/14. We present these big ideas, themes and design tendencies in a highly visual format as an inspiring start to your conceptual thinking. Subscribers, access them here. The corresponding A/W 13/14 colour direction provides a comprehensive palette for the season, walking you through colour themes, usage, levels and key hues to base your colour message around. 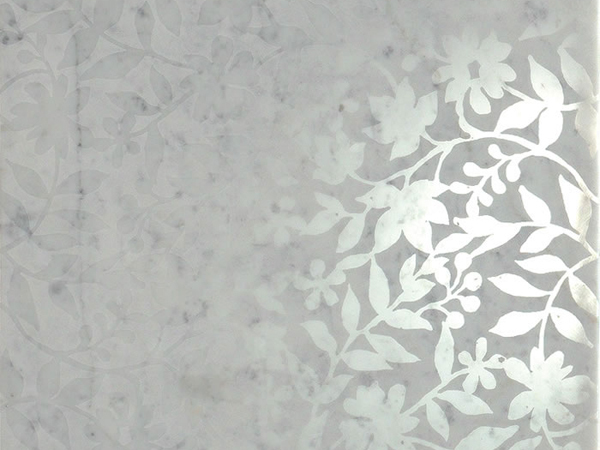 An increased desire for mixes of patterns within our homes has led to a trend in motifs being applied in new ways to hard surfaces such as glass, metal, wood and concrete. WGSN-homebuildlife documents some of the most interesting trends in hard patterns today. US artist Sarah Frost has brought new meaning to recycling - by transforming old, discarded keyboards into large-scale art installations. 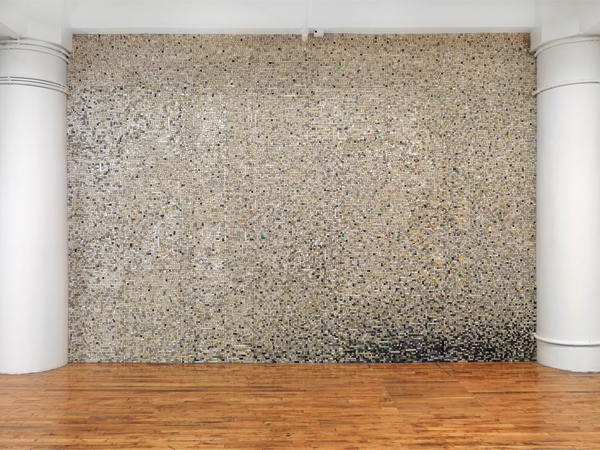 Through them, she hopes to portray the connection between the effects of consumer culture and human mortality. Gypsy Interiors from Carlo Gianferro on Vimeo. Gypsy Interiors by photographer Carlo Gianferro (Postcart Edizione, 2009) is a series of portraits that capture the private yet exhibited world of the sometimes forgotten Western subculture of gypsies. Yesterday we reported on French auctioneer Artcurial's fine food auction, which kicked off at 7pm, and saw renowned luxuries of the food world elevated to the status of fine art (subscribers, read our full piece here). 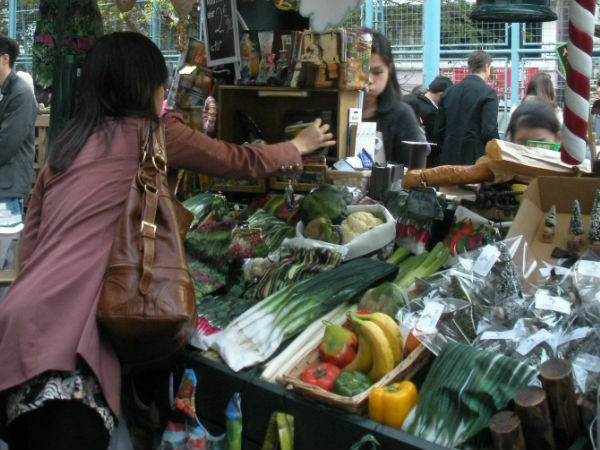 Today, as Artcurial publish the results, we take a look at which foodstuffs were most sought-after. The Exchange in Amsterdam is based around a new hotel initiative combining fashion and architecture by Otto Nan and Suzanne Oxenaar. 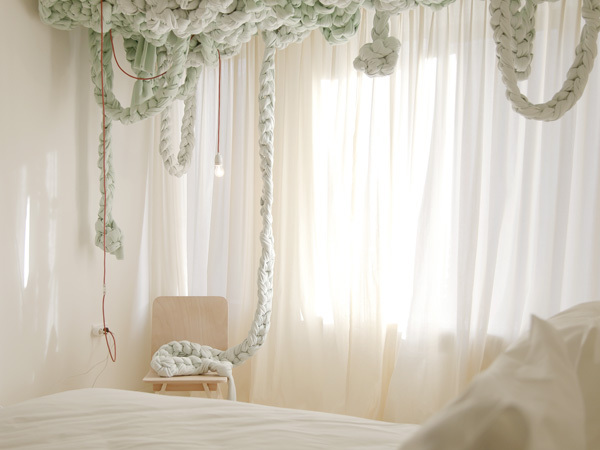 Eight students from the Amsterdam Fashion Institute (AMFI) were selected to work on the rooms at the hotel; each based their designs for a room on a fashion metaphor. 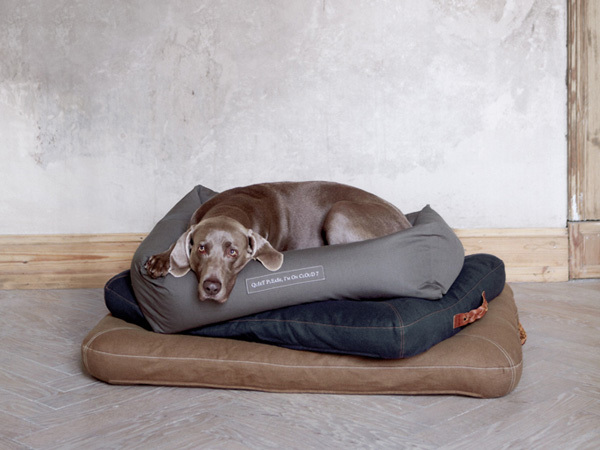 Founded in April 2010, Cloud 7 is a German pet brand offering contemporary fashion accessories and interior solutions for dogs and their owners to enjoy equally. The company's design ethos is to create products that "enhance and strengthen the relationship between humans and their beloved pets". 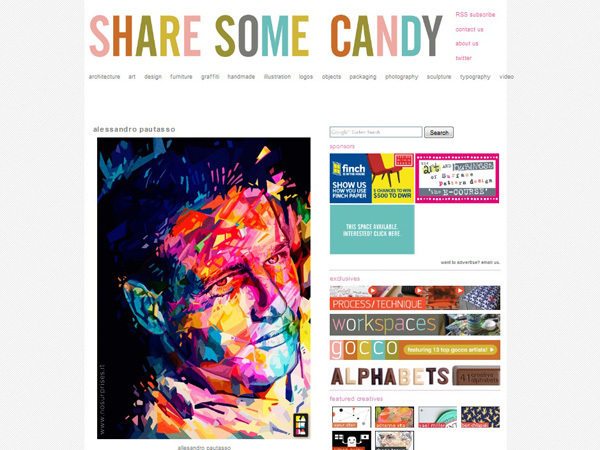 Share Some Candy is a creative platform for a mixed bag of artists. The authors let the featured project images do the talking, commenting only that the website is "a curated collective of art and inspiring design finds". 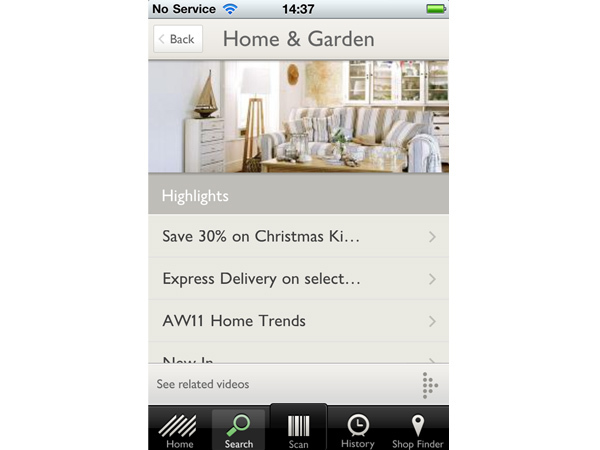 Less than a week before Christmas, UK retail giant John Lewis has launched a free iPhone app which gives customers access to 200,000 products. Enhancing the in-store shopping experience, the app enables users to browse the online product catalogue, search for items using keywords or product codes, and scan the barcodes of products in-store to access additional information. 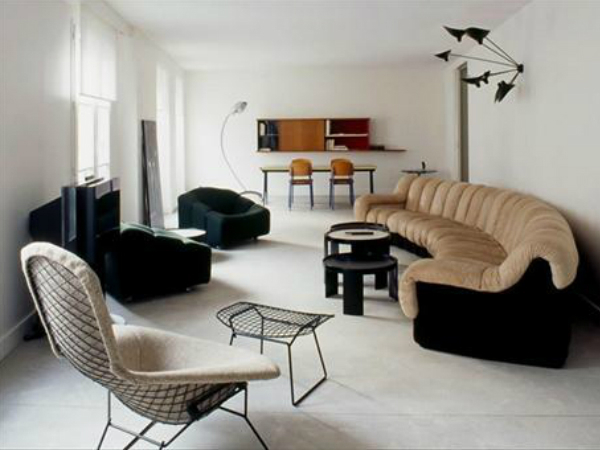 Tunisian fashion designer Azzedine Alaïa has overseen the conversion of a traditional 17th century building located in Paris, into three exclusive suites. 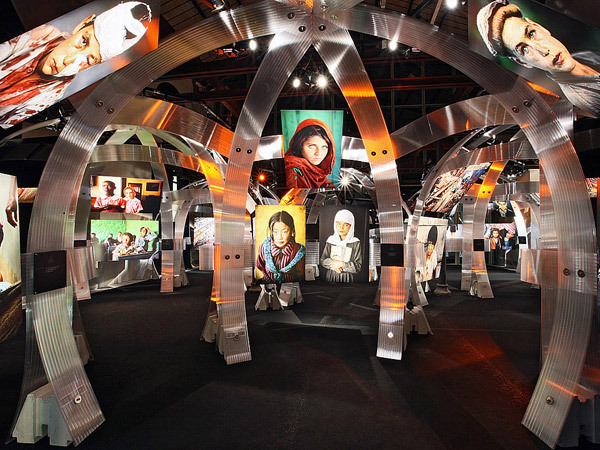 Running until April 29 at the MACRO museum, Rome, is a remarkable exhibition of more than 200 photos by Steve McCurry. Designed by Italian designer Fabio Novembre, the structure of the exhibition is inspired by a nomad village and the curation, also by Novembre, is based on similarity of emotions rather than more traditional categorisation. 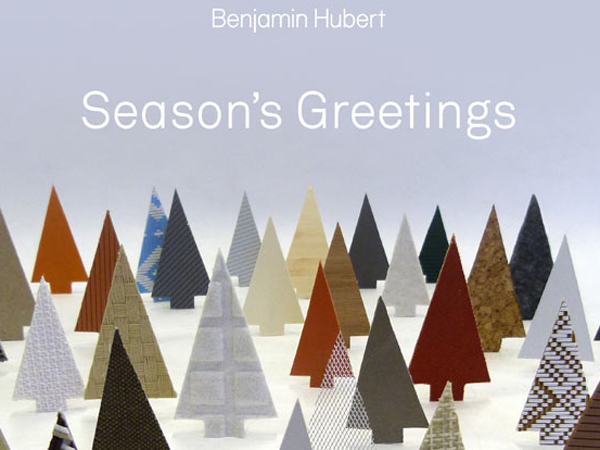 Industrial designer Benjamin Hubert is not the only one to be marking this Christmas with an alternative tree. 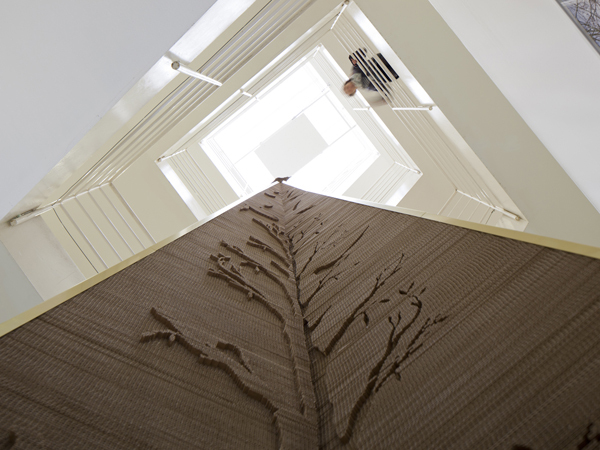 Click through to read about the innovative new twists on the traditional pine tree - including paper, wall-mounted, electronic and recycled variants. 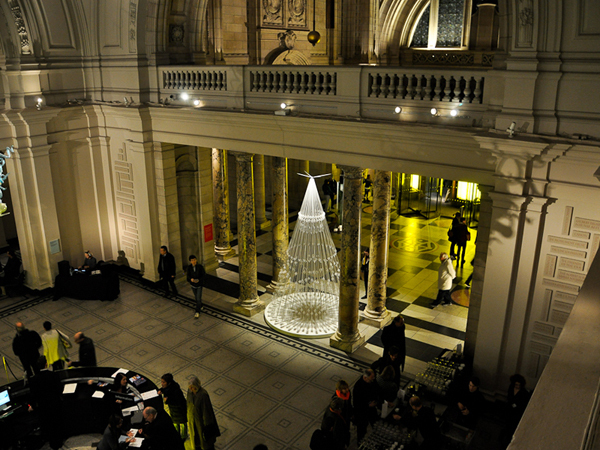 London's V&A museum is the latest British institution to unveil its Christmas tree for this festive season - a large-scale sculpture designed by Studio Roso which is over 4 metres high and made of 3.3 miles of elastic cord. 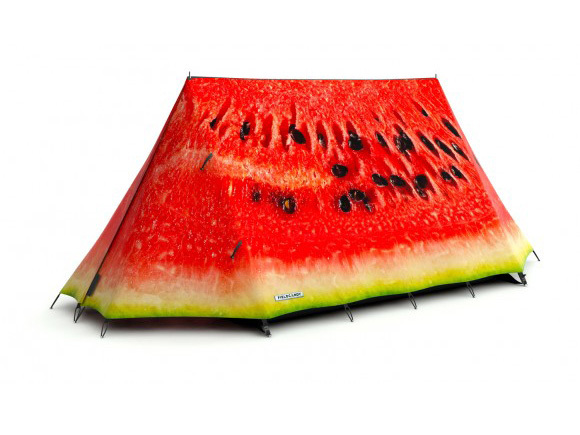 Outdoor brand Field Candy has released over 40 unique tent designs for camping enthusiasts, shunning a conventional tent style in favour of quirky designs and unusual names - such as Don’t be a Leopard, What a Melon and Get a Room. 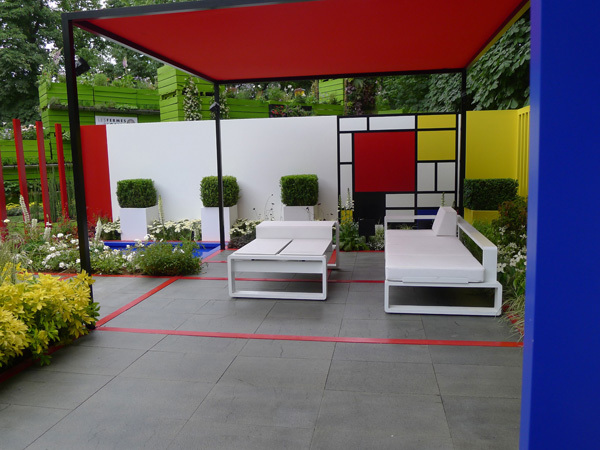 We round up a diverse range of examples, as the design world takes inspiration from the bold palette and colour-blocking of Mondrian. 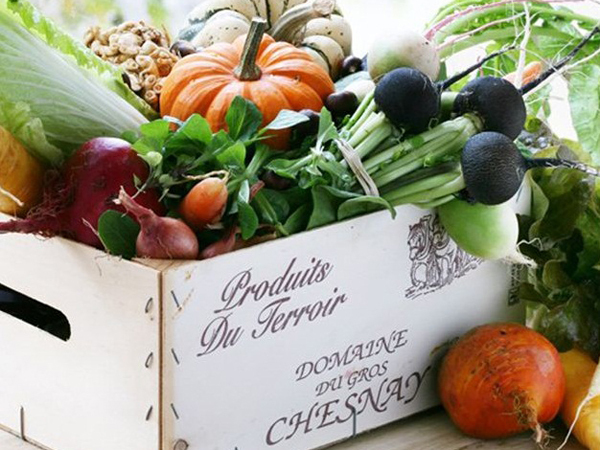 WGSN-homebuildlife loves the fruit and vegetable stand-inspired stall of home accessories brand Visionaire, at Hong Kong’s annual design event DETOUR - aimed to showcase the city as a regional creative hub. 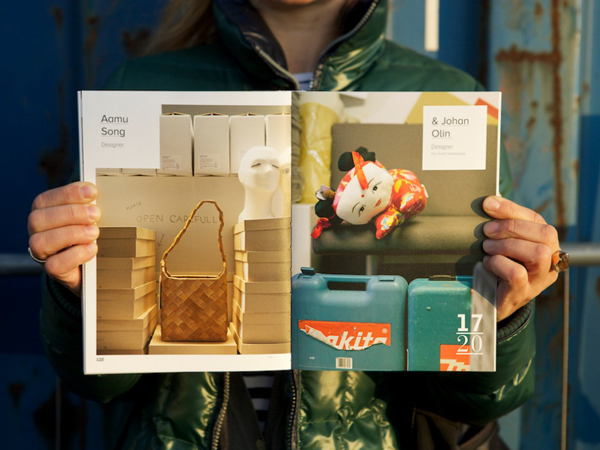 20+12: Design Stories from Helsinki by Katja Hagelstam, Piëtke Visser and Eva Lamppu (WSOY, 2011) is a guide to the 2012 World Capital of Design as seen "through the eyes of architects,designers and artists". The book includes 20 interviews with Helsinki-based creatives, and 12 essays reflecting on various aspects of the city itself. This week, new magazine Disegno will launch its first ever issue. 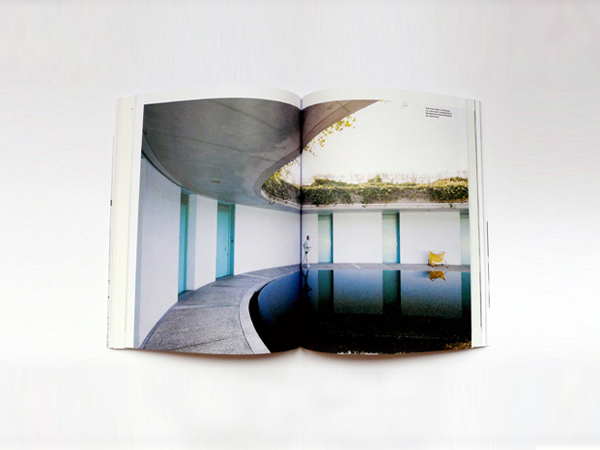 Investigating the areas of architecture, design and fashion, Disegno is a biannual publication which aims to offer insight into key events from the last six months, and serve as inspiration for the coming six. 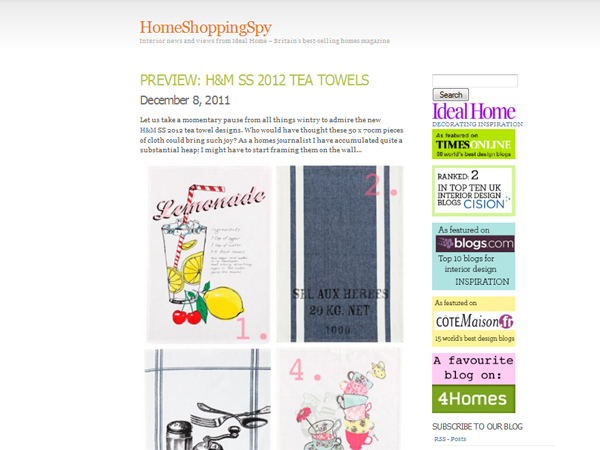 Written by the team behind British interiors magazine Ideal Home, Home Shopping Spy gives an informed and informal overview of the UK retail industry - posts are written in a chatty tone of voice, but the content is reliable and updated regularly. Good for retail catch-ups, and sneak peeks of collections. HBL loves: the recent round-up of alternative Advent calendars. 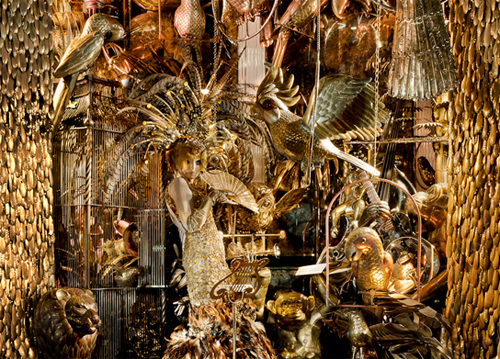 The unveiling of store holiday windows continues to be one of the most anticipated events in New York City. 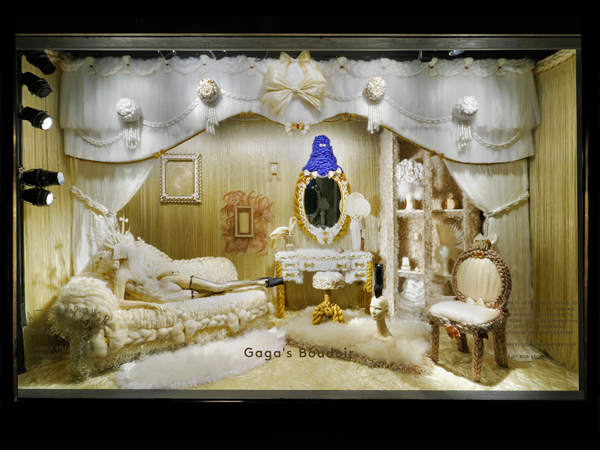 This year, Lady Gaga's workshop at Barneys carried through to its four windows featuring Gagamachine, Gaga's Boudoir, Gaga's Crystal Cave and Gaga's Constellation. 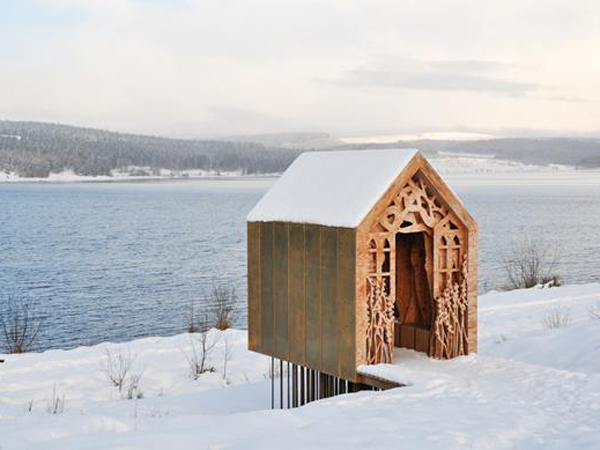 Freya’s Cabin, by UK architects Studio Weave, is part of Freya and Robin, a project to build two structures on the banks of Kielder Water in Northumberland. 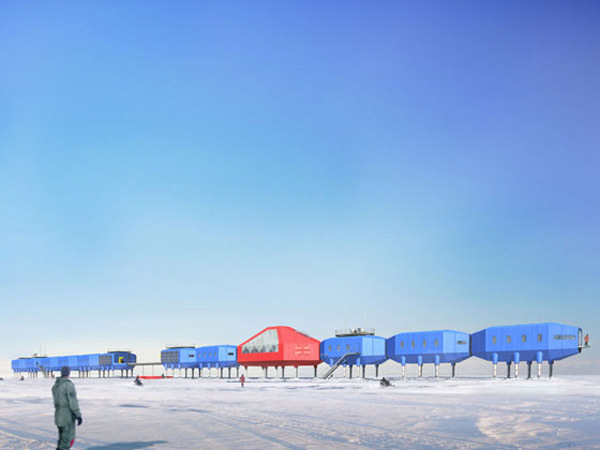 The structures provide stopping points for visitors walking or cycling along the lakeside path, and exemplify the current move towards design as storytelling. 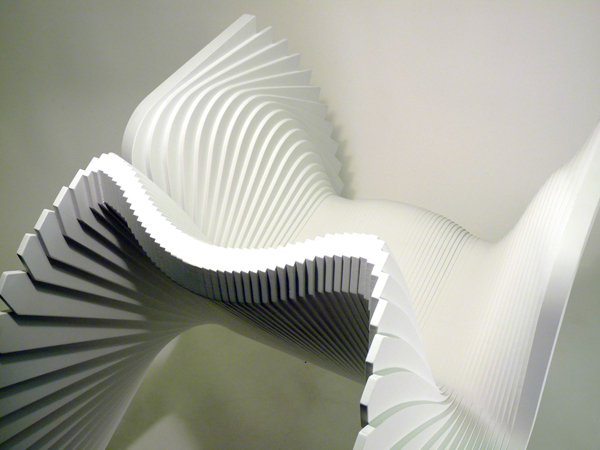 Disegno e design is not the usual sort of show about Italian design. 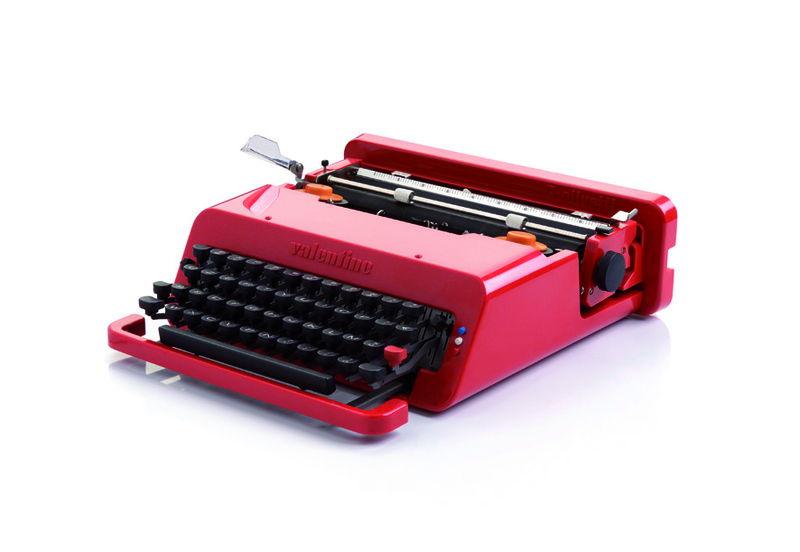 Instead, it talks about Italian creativity from a technical point of view. Hundreds of patents, drawings and trademarks, conserved at the Central State Archives and at the Italian Patent Office, are on show. 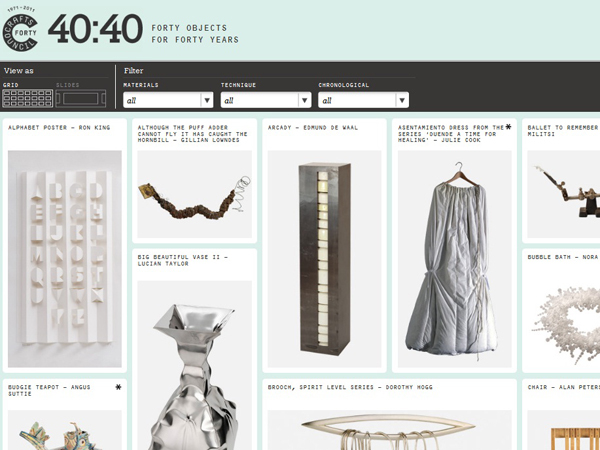 The UK Crafts Council is currently celebrating forty years with 40:40, an online exhibition showcasing forty significant objects from its extensive collection. 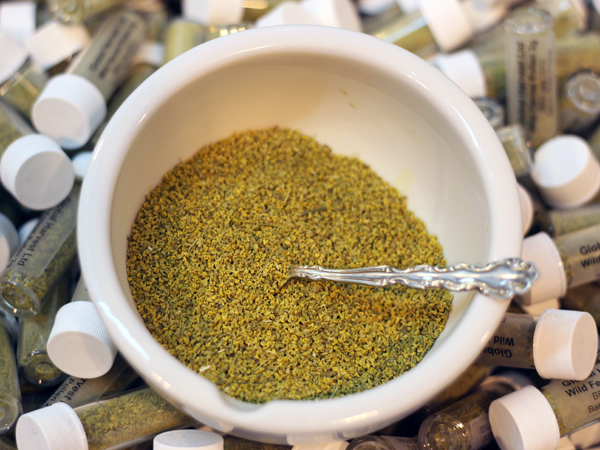 Warming spices and good local produce are just two of the culinary qualities UK consumers are looking for, as seen at the recent BBC Good Food show at Birmingham's NEC. 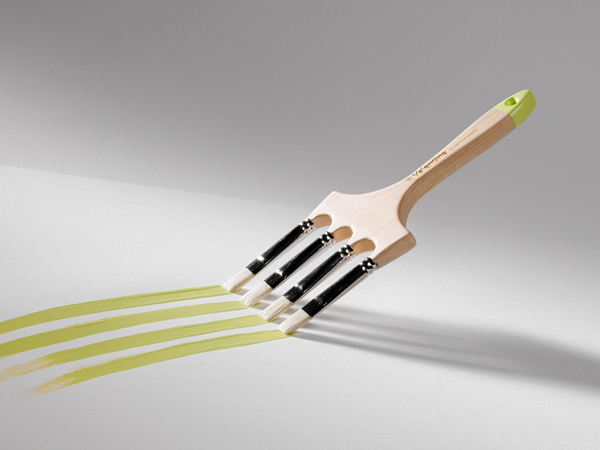 Spanish designers CuldeSac have created an innovative collection of paintbrushes for Valentine. Described as "genetic mutations", each one encourages the user to rethink the common painting tool - either by solving a common problem or by injecting some creative flair into the process. 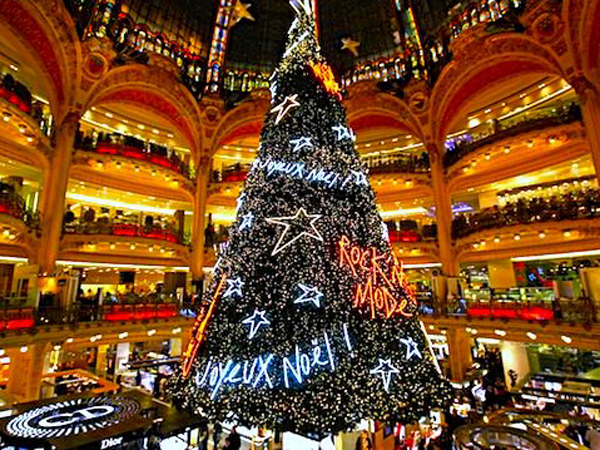 Parisian department store Galeries Lafayette will host a series of nightly live rock'n'roll shows to be viewed from the shop's windows in the lead up to Christmas 2011, featuring a variety of famous rock and folk artists. Pantone have announced their 2012 Colour of the Year: Tangerine Tango, a spirited reddish orange which "emanates heat and energy". The announcement ties into the recent rise of red - as reported on by WGSN-homebuildlife back in August. A newly found adventurer spirit running through Japan has led to camping becoming a popular pastime - with more people now taking holidays inside Japan than ever before. The Andaz Hotel, Liverpool Street has collaborated with designer Eyal Burstein of Beta Tank to create an advent calendar inspired table for the festive season. 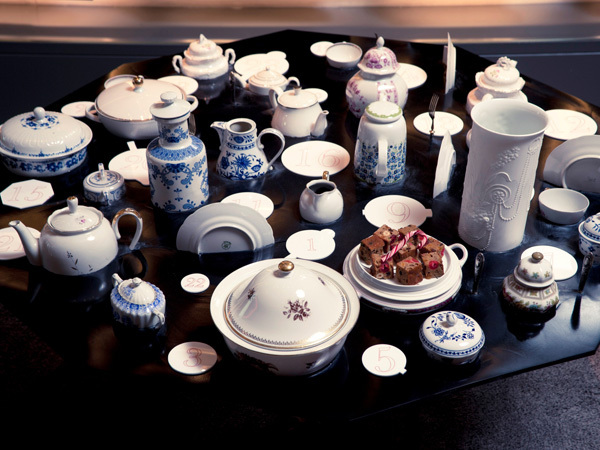 The display shows all the crockery needed for a tea party - which has been moulded into the table to appear as if it's melting. Marilyn Monroe is the icon of the moment - providing inspiration for everything from films to photoshoots, and now a chair. 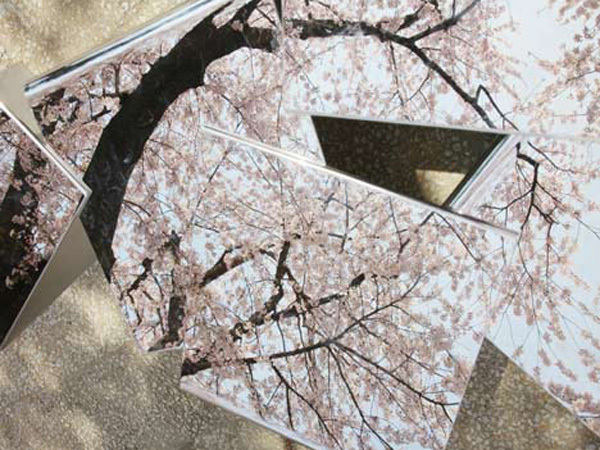 Mirrors are more than just a decorative item to be placed on a wall to simply reflect the surface of one's surroundings. They are increasingly complex, in-depth objects: containing worlds of multimedia functions, offering smart design solutions and intellectual aesthetics akin to contemporary art, while remaining poetic and playful. On show now at the Museum of Arts & Design in New York City, Crafting Modernism demonstrates how the period between 1945 and 1969 proved a key transitional era for American craft and design - using furniture, textiles, tableware, ceramics, glass, jewellery, sculpture and painting to make its case. 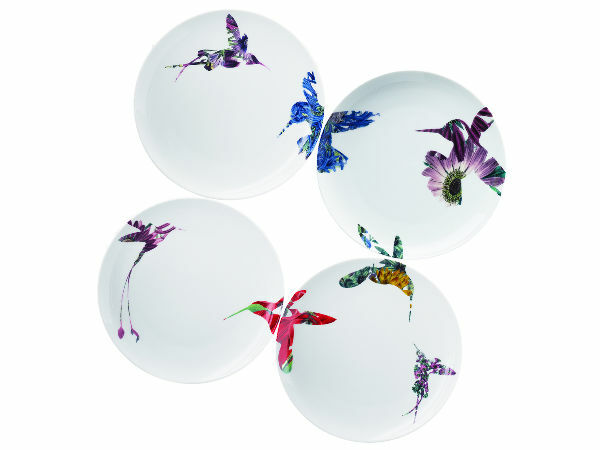 Inspired by the classic Chinese Hua Niao (flower bird) paintings, the Flutter collection by award winning ceramic designer Peter Ting for Hong Kong-based ceramics retailer Loveramics features the surreal introduction of flowers within the silhouette of humming birds, having them fly across plates and feeding from flowers. 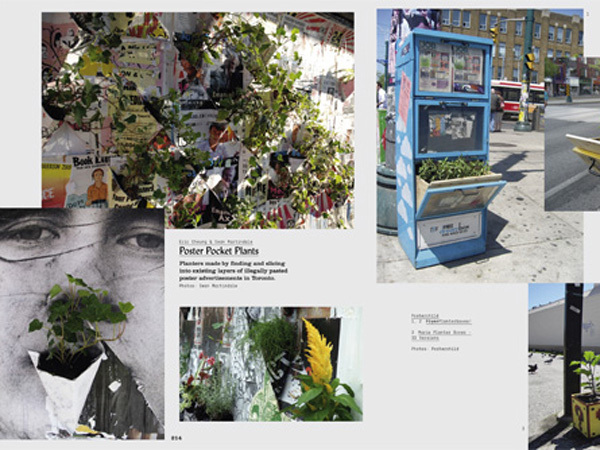 My Green City: Back to nature with attitude and style, edited by R. Klanten, S. Ehmann and K. Bolhöfer (Gestalten, 2011) provides a guide to the contemporary designers, artists and architects who are working on bringing nature back into our cities - from guerrilla gardeners and urban farmers to food and product designers. 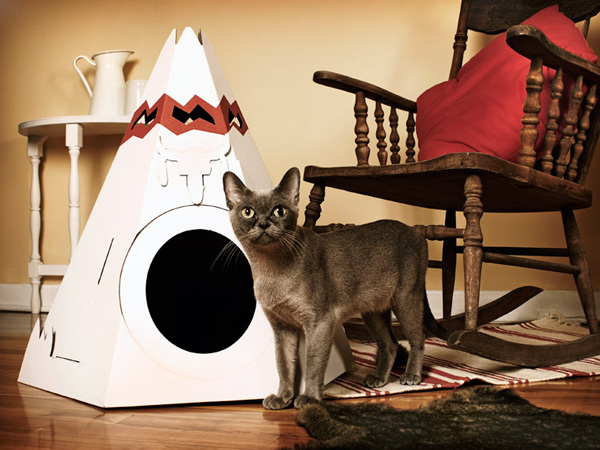 Canadian pet brand Loyal Luxe aims to bring a design-led approach to each pet product it creates. 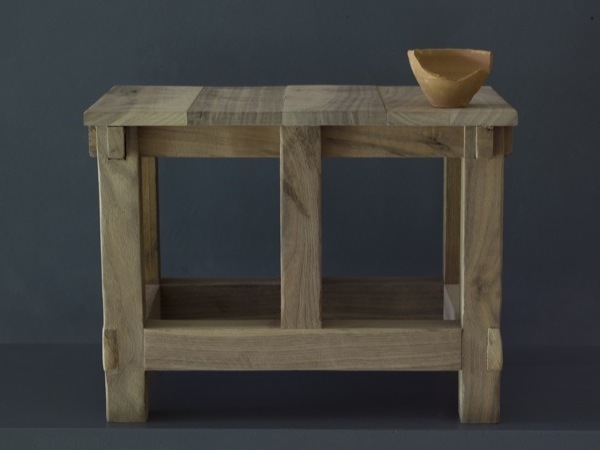 Its founders, Maud Beauchamp and Marie-Pier Guilmain, are both from an industrial design background and describe their product line as "rustic with a modern chic". As preparations for the festive season get underway, consumers are gearing up to create baked treats in their kitchens. 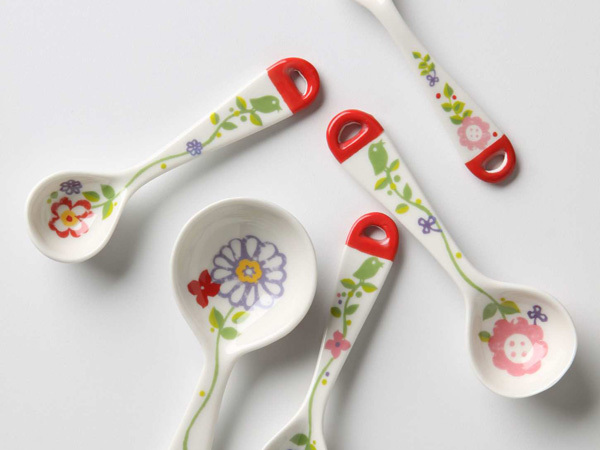 WGSN-homebuildlife rounds up the key baking utensils at retail. The Carnival of the Animals have arrived at Bergdorf Goodman in New York City. Each holiday window features a specific material that depicts exotic animals from around the world, and is intricately decorated with painstaking detail. The paper window uses over 300 different papers used in black, gray, and white to make zebras, Dalmatians, and other monochrome animals. 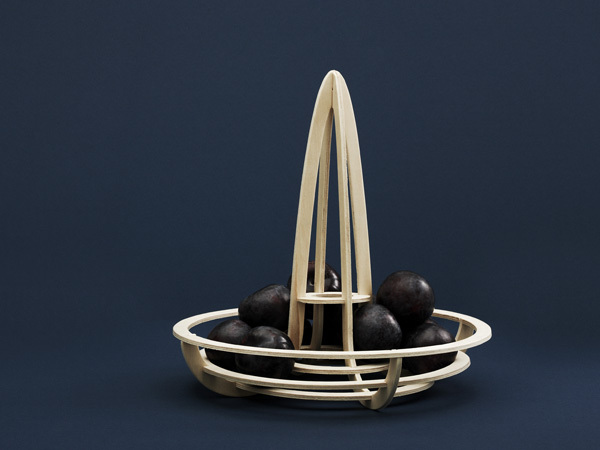 Danish design brand Normann Copenhagen has launched Fruity, a simple plywood fruit bowl which is supplied flat-pack and can be used either flat, suspended or free-standing. The inaugural iq2 If Conference took place November 25-26 at the Royal Geographical Society in London. More than 30 speakers across a wide range of disciplines presented future thinking on subjects involving digital gaming, experiential travel, extreme ageing, self-hacking, and the importance of making. 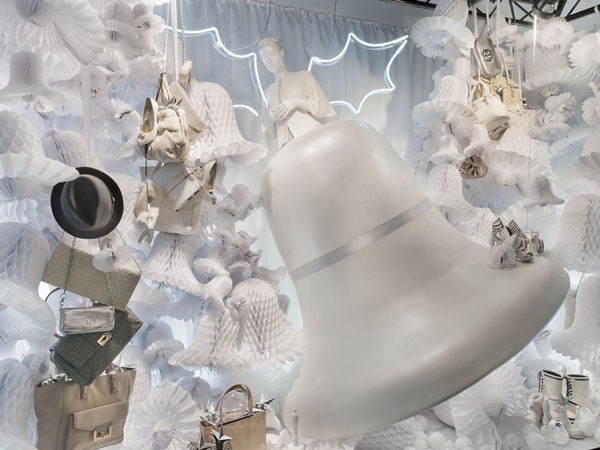 Inspiration is taken from traditional sources in the English capital this festive season, as Christmas carols, rhymes and bright white winter wonderlands are envisioned with contemporary twists and playful narratives in the windows of London's leading department stores. 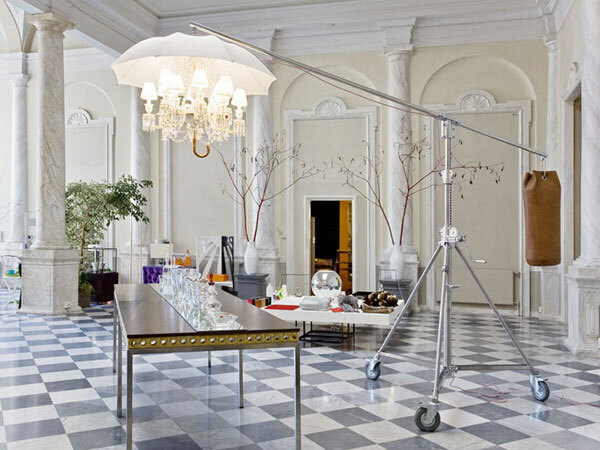 The big lamp Marie Coquine is inspired, its designer Philippe Starck explains, by Mary Poppins. An umbrella is opened on a crystal rain while, at the other end of the steel stand, there is a camel-coloured leather punching bag. Here the Marie Coquine is showed at Via Garibaldi 12 in Genoa. 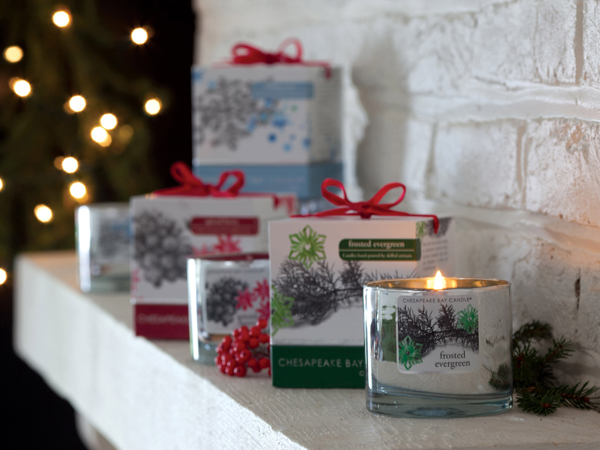 US scent brand Chespeake Bay Candle have launched their 2011 holiday collection, made up of three new festive fragrances called Falling Snow, Frosted Evergreen and Spiced Berry. 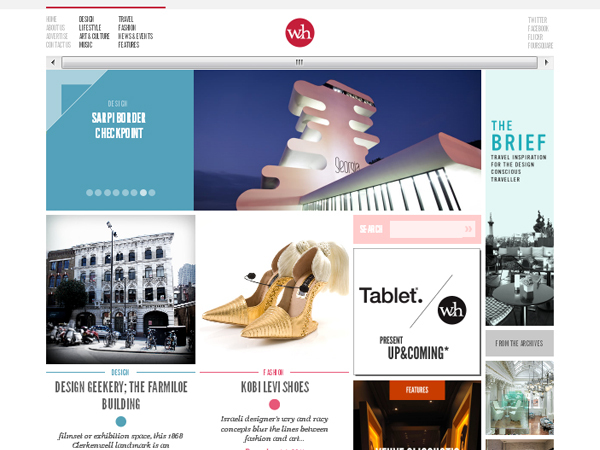 Online magazine We Heart specialises in design, arts, travel, music and lifestyle, and aims to "cut through the myriad of press release-replicating ‘cool hunter’ blogs". Regular contributors focus on specialist areas, ensuring informed content and interesting angles. HBL loves: The Travel section, which highlights up-and-coming destinations and reviews new hotels with a twist - such as the Lisbonaire apartments, 19 centrally-located and affordable apartments in Lisbon, each customised by a local artist or designer. 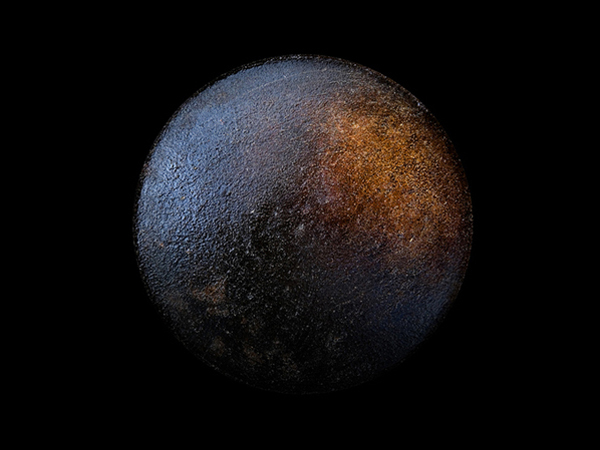 Norwegian photographer Christopher Jonassen's Devour series re-contextualizes a collection of worn-out frying pans to make them appear like undiscovered planets from outer space. The collection is featured in this week's WGSN-homebuildlife surface report, which explores reflective surfaces and iridescence in design. Subscribers can see the full report online here. London's Design Museum unveiled its 2011 Christmas tree this morning - made by Giles Miller and believed to be the largest cardboard Christmas tree in the world. 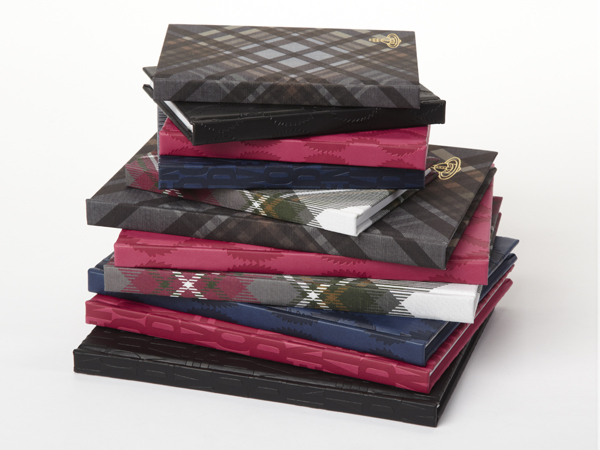 Vivienne Westwood has launched its second range of stationery, drawing on the brand's iconic use of tartan to introduce two winter tone tartan fabric covers as well as a typographic Vivienne Westwood design and geometric Squiggle print. 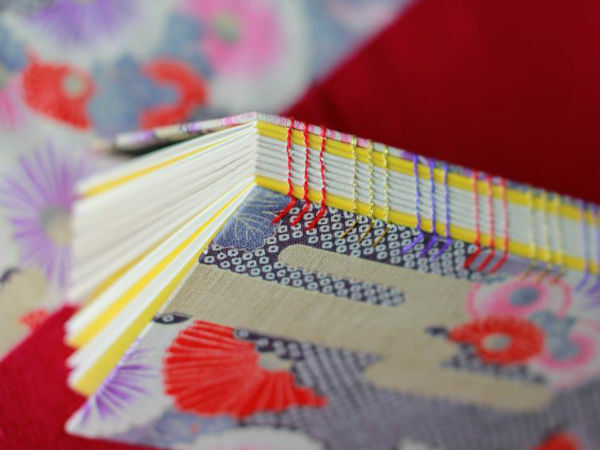 Hong Kong-based gift producer, Present Present recently held a series of workshops that taught the technique of coptic book binding with recycled wallpaper.